Each year, nearly 1.3 million people lose their lives in fatal car accidents, while another 20 to 50 million people sustain life-changing injuries. And in today's era of distracted driving and widespread drug addictions, the roads are scarier than ever before. If you or a loved one has been injured in a collision caused by another party on a Calabasas roadway, freeway or highway, you may have grounds to take legal action and collect compensation. 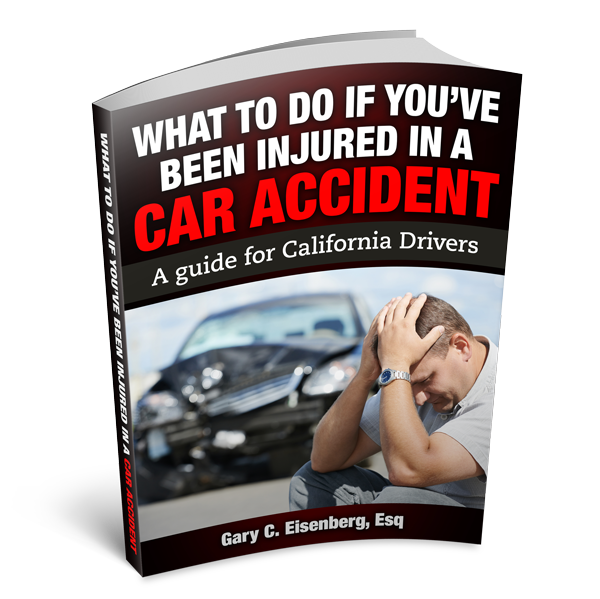 Why Choose GCE Law as Your Car Accident Attorney? At The Law Offices of Gary C. Eisenberg, we've been successfully practicing personal injury law for more than 30 years, including cases involving vehicular crashes. Gary started by working for insurance companies, which gave him a unique insight into how that industry operates. When you choose us as your Calabasas personal injury attorney, we will do everything in our power to recover the largest possible financial restitution to take care of your medical bills, rehabilitation costs, physical pain and suffering, lost wages (current and future), mental distress and other losses. Although it's always our preference to achieve a favorable settlement out of court, we don't shy away from arguing cases in a courtroom to get the best outcome. One-on-one attention: When you call our firm, you won't hear a pre-recorded message—you'll speak directly with your attorney, who is always willing and available to answer your questions and provide timely updates. As a small, family-owned firm, we offer the in-depth knowledge and skill of larger practices, while still retaining the personalized, friendly feel of a smaller office. Free consultations: You will never receive a bill from us unless we succeed in winning the desired compensation from the courts. If you've been the victim of a vehicular collision that was no fault of your own, don't let time slip away from you. It's critical that you act quickly in securing quality representation. Contact The Law Offices of Gary C. Eisenberg today to get back on the path to physical and financial wellness, while helping to support your family members and anyone else who has been affected by the collision. You'll pay nothing unless we secure the financial compensation to which you are entitled.